Jannes and Jambres are known as the two magicians that contended with Moses and Aaron in Egypt. 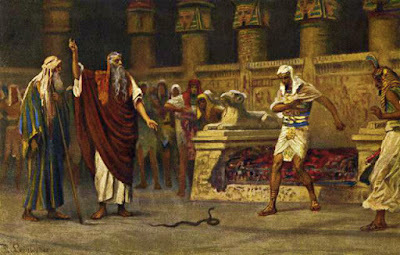 When Aaron cast down his rod before Pharaoh, it became a serpent, just as the Lord had spoken. Pharaoh had his sorcerers to also cast down their rods, and they too, became serpents. But the bible tells us that Aaron's serpent swallowed up the sorcerers' serpents as a sign to all, that the God of Israel was above all gods (Exodus 7:10-12). Today, Jannes and Jambres represent the spirit of the false church; and leading the false church are false teachers and false prophets. It is a spirit of sorcery. 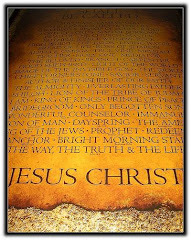 In Matthew 24:24 Jesus tells us that in the last days, many false teachers and prophets would arise and would preform signs and wonders. He lets us know that the signs would be so close to the real thing, that even the elect would be deceived, if it were possible. We live in a society, especially here in the west, where we thrive off of signs and wonders; in fact, we've become dependent on it. This is not to say that signs and wonders are not of God; this is not true. But many in the church are always looking for a sign or a prophecy to be given to them, instead of seeking the face of the Lord, knowing His voice for themselves, and obeying Him. Jesus told the Pharisees that a wicked and perverse generation looks for a sign, but none would be given to them (Matthew 16:4). One of the things the Lord told me a couple of years ago, is that we are busy looking for God in man, who is flawed, instead of actually seeking God Himself. And because of this, people flock to every prophetic conference, impartation, and healing service, like an after-Christmas sale at Wal-Mart. This gives way for the false spirit to be employed in the churches. And because many have not spent time dwelling in the secret place of the Most High, to recognize His true presence and anointing, they are succumbing to the spirit of Jannes and Jambres. In the midst of church meetings and conferences today, there are three types of spirits: first there are those who are true men and women of God, anointed, and led by the Holy Spirit. Next, there are those who started off walking by the Spirit of truth, but because of the lure of profit, power and popularity, they've fallen away, and are now led by familiar spirits. Finally, there are those who are wolves, serpents, and foxes in sheep's clothing, that have been assigned by Satan to divide and destroy the church. We must learn to discern the familiar spirit; the spirit of Jannes and Jambres, so we are not deceived. The only way to do this is to test the spirit by the Holy Spirit, and to draw nigh unto the Lord so that He will purify your mind, heart and soul. The time is coming where the Lord will remove the scales from the eyes of the blind and uncover the plans of the enemy. This will manifest through a great shaking that is coming (and has already begun), and through this shaking, only the unshakable things will remain; those who are in the perfect will of the One who is unshakable; Christ.